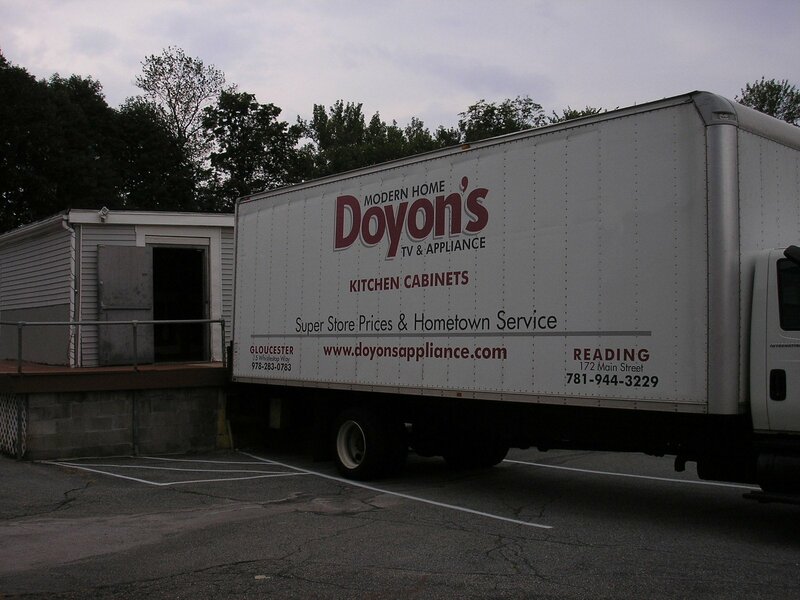 Doyon's TV and Appliance opened on August 1st at 40 North Road (old Walcott's location). I recently spoke with Mike Doyon, CEO of the company. 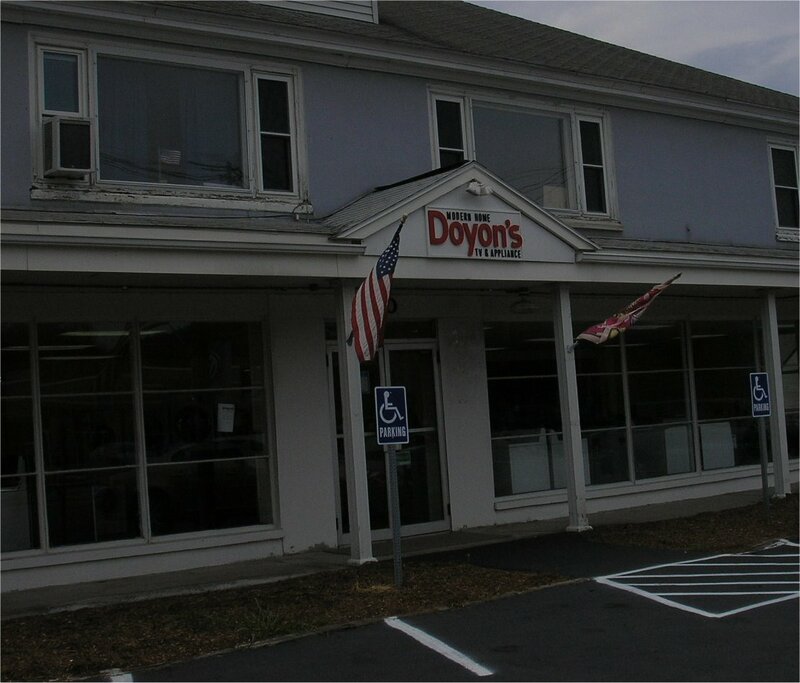 According to Mike, Doyon's was started by his Grandfather Morris in 1950. 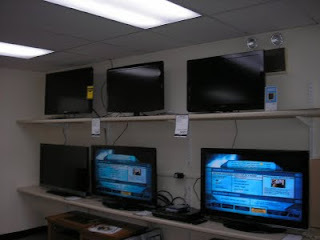 The shop started off as a TV repair shop in Reading. It then decided to sell TV's and eventually got in to other appliances. The store was then sold to a second generation of Doyon's (Mike's uncles) in the late 1970's. In 1990, the store opened a second location in Gloucester. Mike is now the third generation running the business. The stores has a large assortment of Air Conditioners, Laundry, Microwave, Refrigerators and other traditional appliances. Recently Doyon's was looking to add a third location closer to their warehouse in Franklin. They were already very familiar with Walcott's and when they heard Walcott's was closing they saw an opportunity. They really liked the central location and saw this as a way to expand their existing customer base south from the North Shore. Rather then buy the business, they ended up leasing the existing buildings from Walcott's. In fact, the former owner of Walcott's, Bruce Henderson is now working for Doyon's at the Bedford location. In addition to traditional appliances, the store also sell Sinks, Faucets, Kitchen Cabinets and also offers Kitchen Design services. According to Mike, Doyon's is focused on personalized service. They get their inventory from a co-opt buying club warehouse with 118 other stores, so if they don't have an item in stock, they can get most items in 1 day. They also provide delivery and install most items. Mike also mentioned they will pick up the old appliances and recycle them. They currently have 5 delivery trucks. The second building in the back is in the process of being converted to a kitchen showroom. Along with selling appliances, the store also services them. They currently have 4 service trucks making house calls and are in the process of adding 2 more. 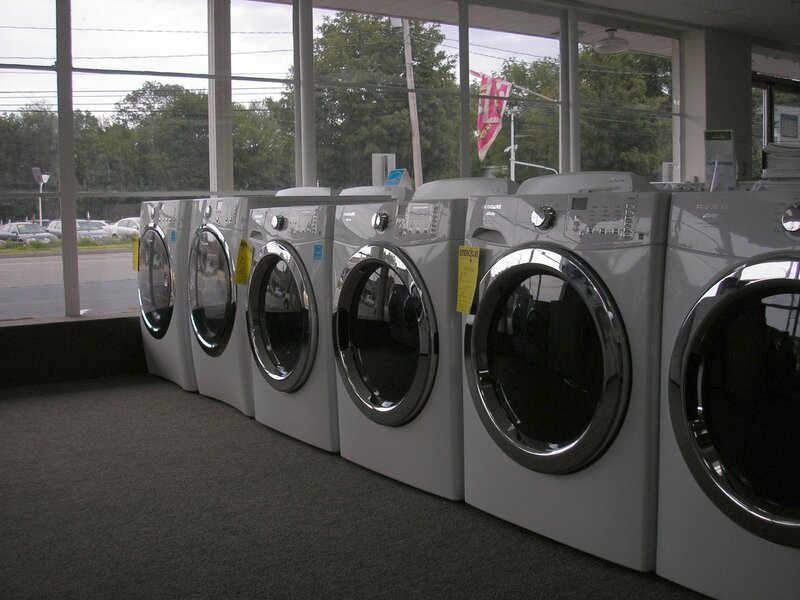 They have a full service department that provides warranty repairs to any appliances purchased with them and post warranty repairs to appliances purchased else where. They also sell parts. The store had a "soft" opening on August 1st. They recently sent a mailer out to homes in Bedford and Lexington and are planning a larger mailer to surrounding towns in the next few weeks. Mike also mentioned they are a frequent advertiser with local media. They currently have 5 employees at the Bedford location, but plan to ramp up as the businesses grows. It's good to see the Walcott's space filled so quickly. Unlike many other nearby towns, Bedford has pretty good turnover on most of it's vacant retail space. It's also good to see Doyon's appears to have a marketing plan to let people in Bedford and other nearby residents know about the business. This is not always the case with new businesses in Bedford.